Nigerian Academy of Science has developed a new platform that will promote entrepreneurial skills among youth, as well as making them self reliant. 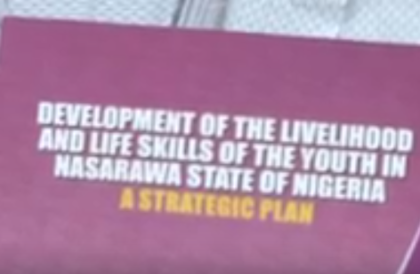 Nasarawa and Ekiti states have been selected for the pilot scheme of the programme. Over the years the quest for white collar jobs and absence of entrepreneurial skills in the school curriculum has been responsible for the growing number of unemployment in the country. But with the introduction of entrepreneurial skills which is expected to be implemented by Nasarawa and Ekiti states the Nigerian Academy of Science says youths will be trained to be employers of labour rather than roam the street looking for Job. Under the programme, every student must learn one entrepreneurial skill or the other before graduating from school while government will provide the enabling environment for vocational training of uneducated youths. has been established across the state to equip youths with relevant skills.